Seair has played a big part in my travels these past couple of years. Since 2008, I have been to places I’ve never thought I’ll ever get the chance to see: Coron, El Nido and Batanes. Now it’s your turn. Seair is having a part two of their blogger’s tour contest, this time to the gorgeous province of Batanes. Seven lucky bloggers will get the chance to experience winter in the Philippine’s northernmost province. There’s no snow, but temperature can drop to as low as 7 degrees Celsius. Aside from the round trip airfare, winners also get free accommodation in Batan island. The blogger’s tour is scheduled for January 28 – 30, 2010. To join, you just have to create a blog entry why you should be picked to join the blogger’s tour. Deadline for entry submission is December 20, 2010. For the full mechanics, visit the Seair Facebook page. Hmn..this is interesting. Salamat for this kind of pa-contest. 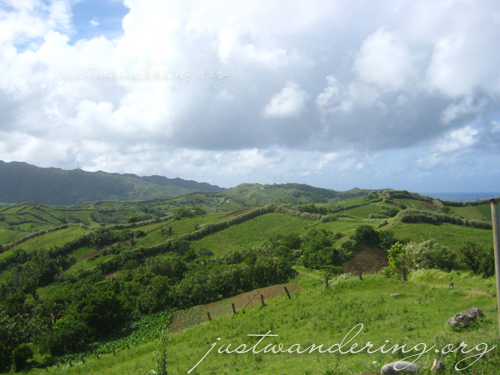 Marami ang makaka-witness sa beauty ng Batanes. Maraming salamat po for dropping in at my blog. I was backreading some of your posts. Nakakatuwa, parang narating ko na rin those places you have been to na hindi ko pa nabibisita. Thank you for sharing. i wanna join too. developing and conceptualizing the design of the blog with the help of friends. finishing the write ups too. hope we both get a spot nina. nice blog! dream ko rin magbatanes. ang favorite blogger ko sana magjoin. check mo to http://www.thegrandeurtraveler.com baka magustuhan mo. Hey, thanks for pointing me to Deo’s blog! I actually met him back in August, but completely forgot his blog url! Good thing I was looking for your RSS feed to add to my blog list and I saw this post. Mwehehe. Si Coy nakita ko pang nagreply sa note, gusto pang lumevel sa paggawa ng videoblog. Ganon?! Gusto ko rin, marami akong oras! Thanks, Nins! Go Poyt! Talunin mo ang effort ni Coy! I’ve been hearing, or rather seeing your blog for quite a while but haven’t got the chance to read thru it until now. I was just seeing it in a blogroll of other blogs that I usually read. It’s very informative and helpful to other bloggers who dream of traveling (like me.. ) Pasyal-pasyal muna ako sa page mo ah.. mukhang ang dami kong babasahin… hehe.. Thanks for this post, I hope I’ll be chosen! just started blogging as well, is it ok if i put you as a link? tnx tnx!